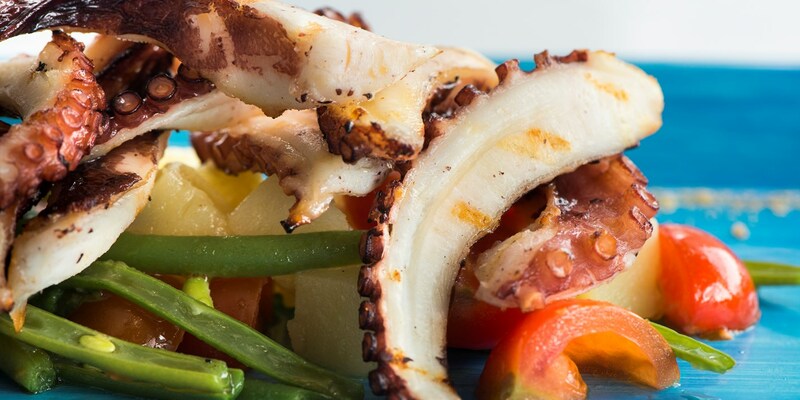 Even the most skilled chefs can find it difficult to achieve a tender yet moist result when cooking octopus. Not enough time in the pan or too high a temperature are common problems encountered with conventional cooking methods but with sous vide cooking, the time and temperature are precise and consistent ensuring perfect results every time. To prepare octopus for cooking, watch our helpful How to section an octopus video for step-by-step instructions. Season the tentacles and place them in a vacuum bag with a little olive oil. Octopus takes on any flavours added to the bag and stands up to bold flavours so feel free to be adventurous. Why not try a Thai spice combination or reduced red wine and rosemary. Steven Smith serves his Octopus with scallop and lobster wontons, cherries and pink fir potatoes while Michael Wignall’s Octopus terrine with langoustine taramasalata and cucumber is intricate and not for the faint hearted.